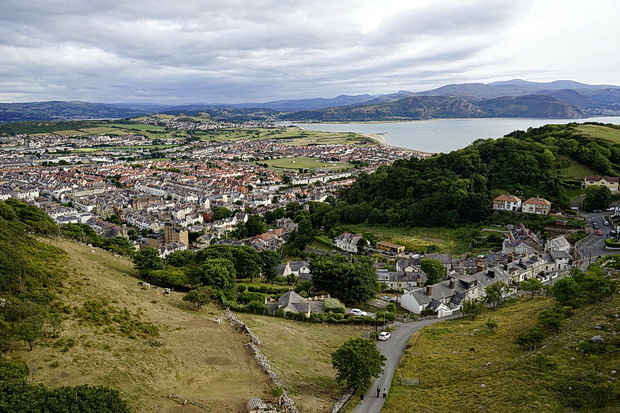 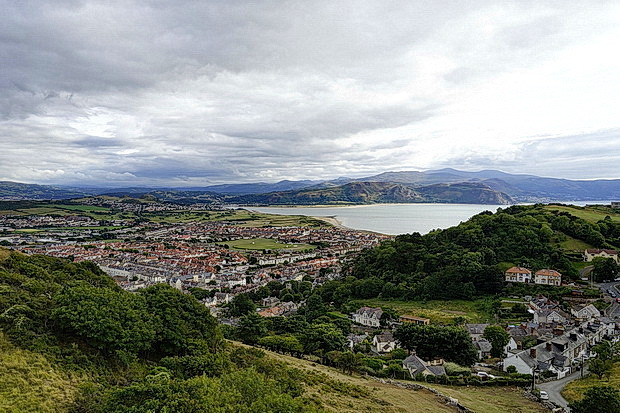 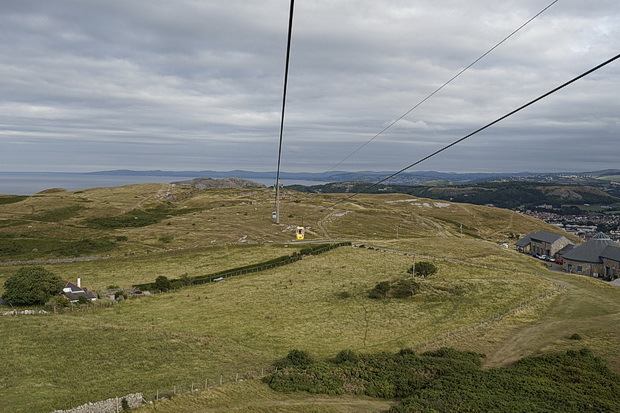 Running along the Great Orme for a distance of one mile and forty feet (1.622 km), the Llandudno Cable Car is a splendid attraction in the seaside resort of Llandudno in north Wales. 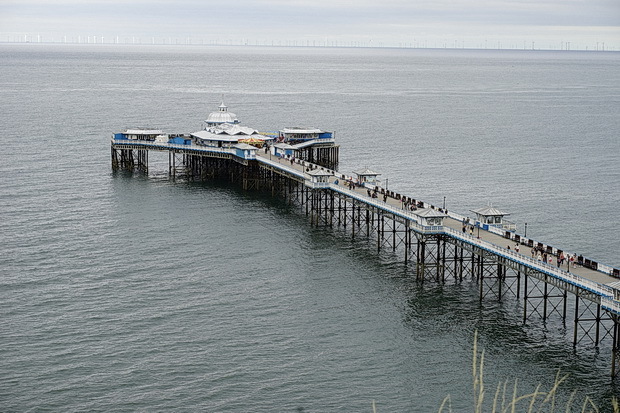 Opening in summer 1969, the ride offers fabulous views of the Irish Sea looking over to Rhyl and the Isle of Man, as well as panoramic views over the town and the Snowdonia National Park behind it. 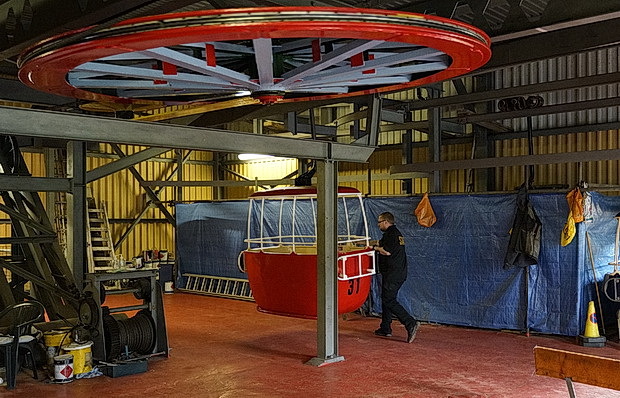 There are currently 20 open air cabins in service, all painted cheerful shades of red, yellow, orange, light blue and purple, and they depart at approximately one-minute intervals. 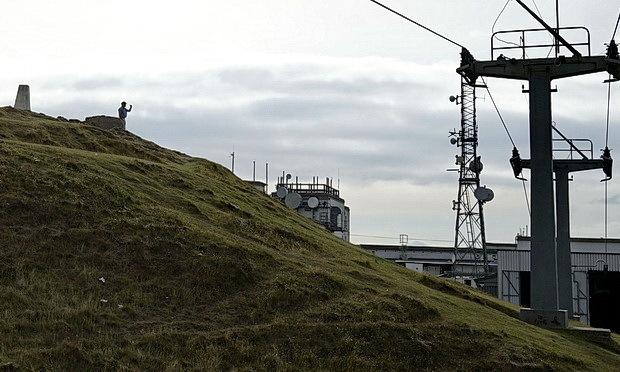 The highest point from the ground over the journey is around 80 feet (24.38 m), with nine pylons supporting the cable over the hillside. 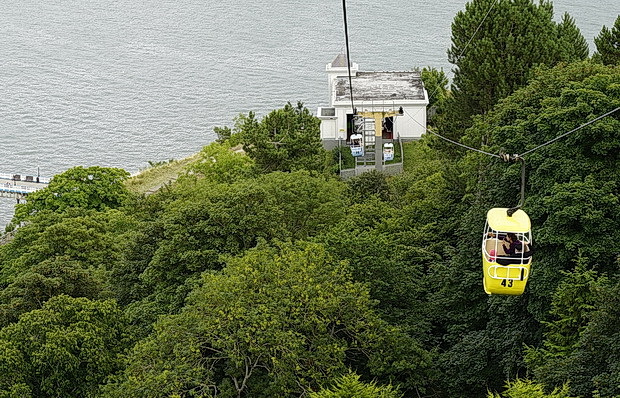 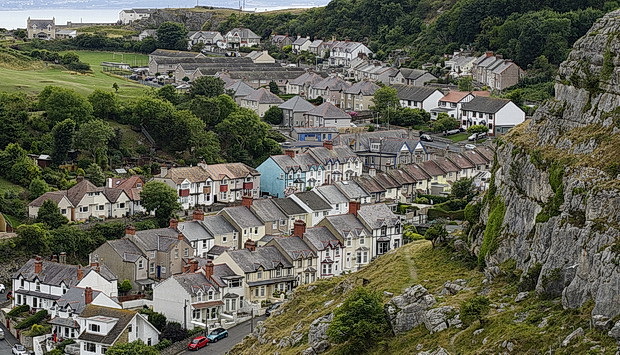 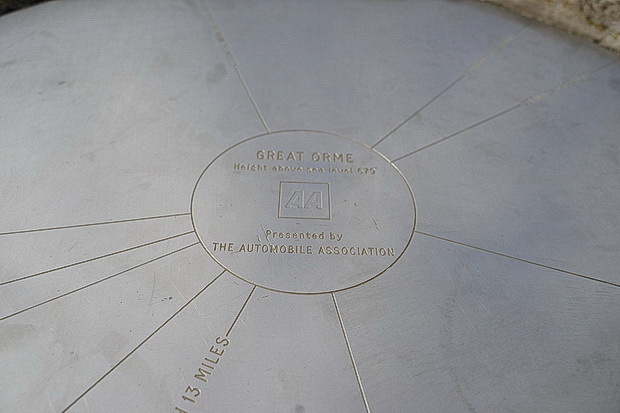 The lower station is situated on Aberdeen Hill in Happy Valley Gardens, a short stroll from the town centre up from the landmark pier, with the upper station located next to the summit of the Great Orme. 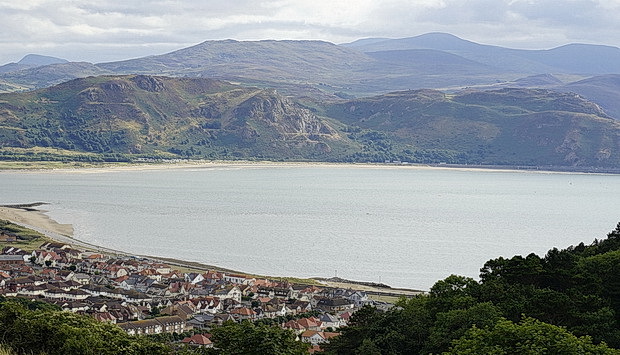 Llandundo pier seen from the base station. 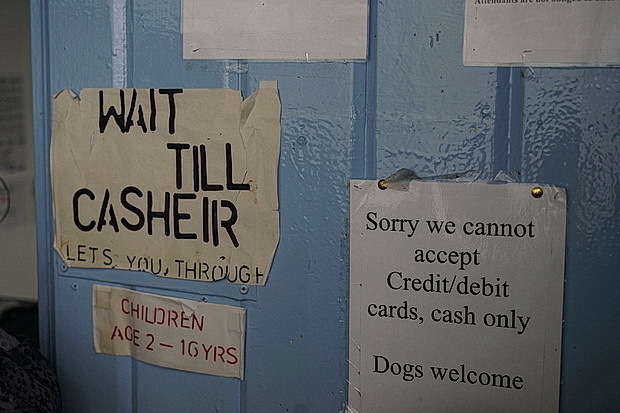 Only cash for the ‘casheir’ – no card payments are accepted. 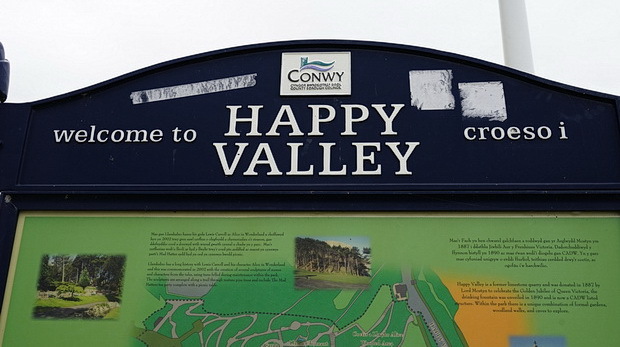 See below for prices. 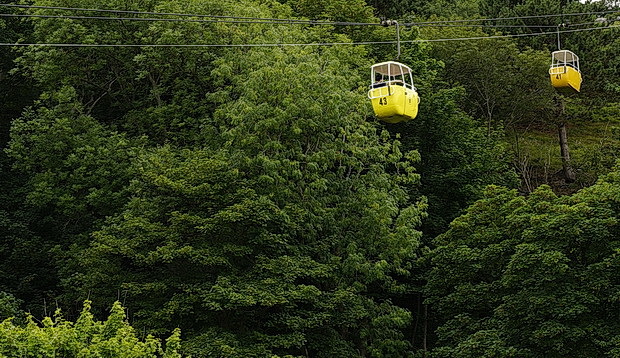 Passing a car on the return journey. 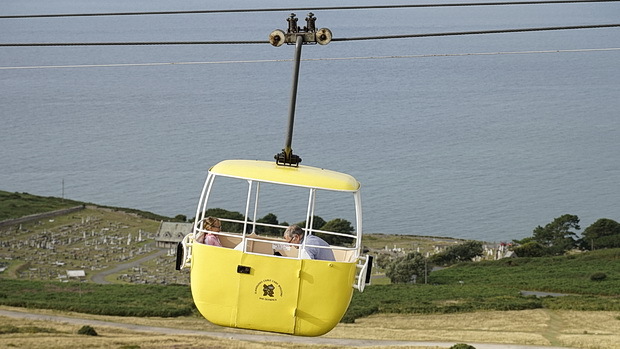 The cable car cannot operate in wind speeds of over 22 mph (35 km/h) because of safety restrictions. 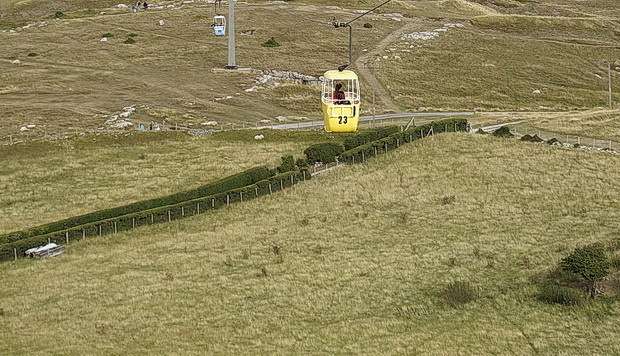 It is often much calmer in Happy Valley but the wind is unpredictable at the summit, resulting in closures which may last a few minutes or a whole day. 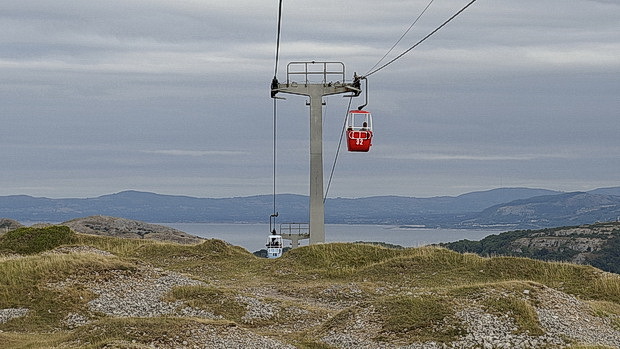 The cable cars also cannot operate in thunderstorms and might close if rain is too heavy. 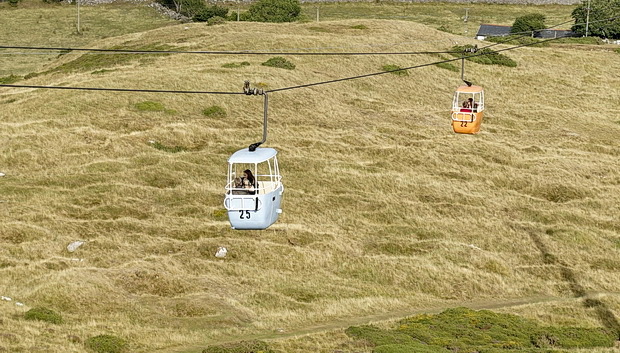 The cable cars normally operate from the beginning of the Easter holidays to the end of the October half-term school holiday. 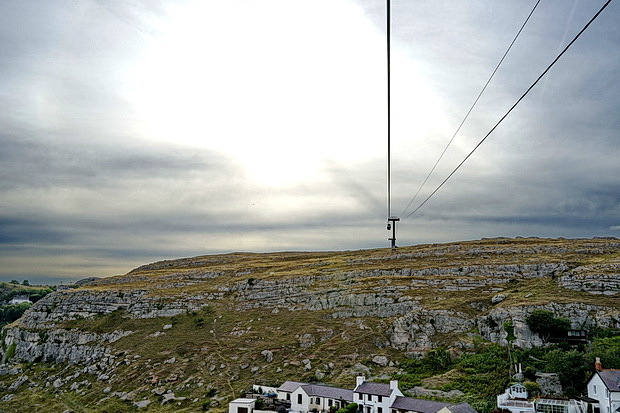 Apart from an explosion of shuddering when the cable car crosses a pylon, the journey is surprisingly quiet. 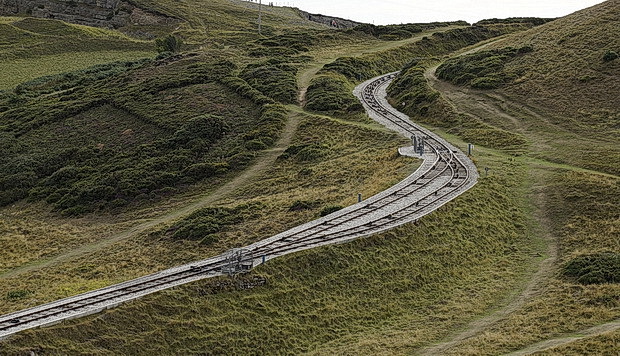 1898: The Great Orme Tramways Act was passed which laid out the length of the Tramway, the gauge and the fares to be paid. 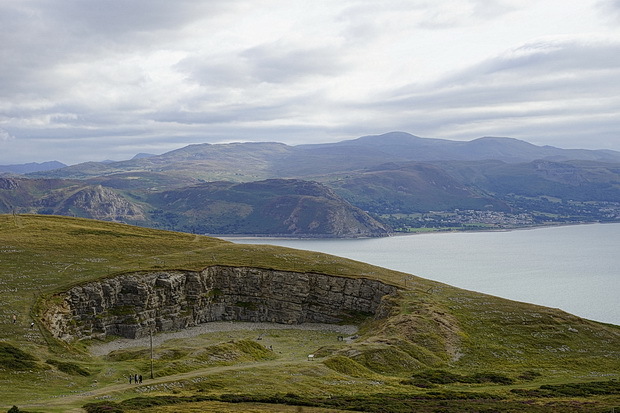 The original purpose of the Tramway was to transport passengers, goods and parcels up and down the Great Orme. 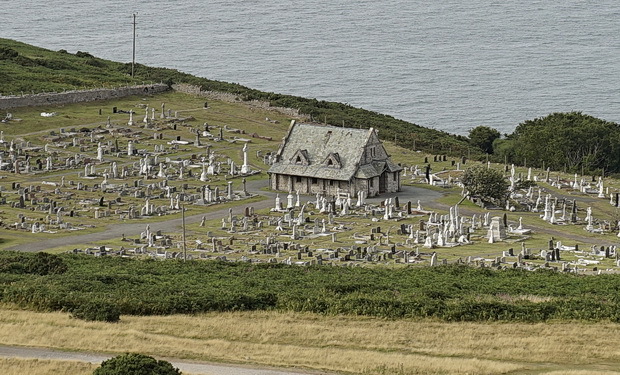 The Tramway even had to carry coffins to the Halfway Station for burial at St Tudno’s churchyard. 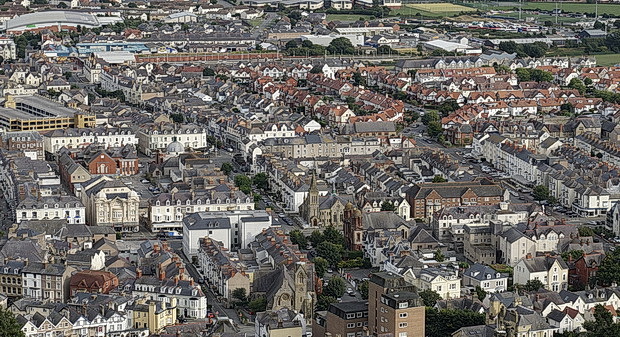 There was no concession for grief; mourners were charged full fare, plus 2s 6d (12.5p) for transporting the coffin! 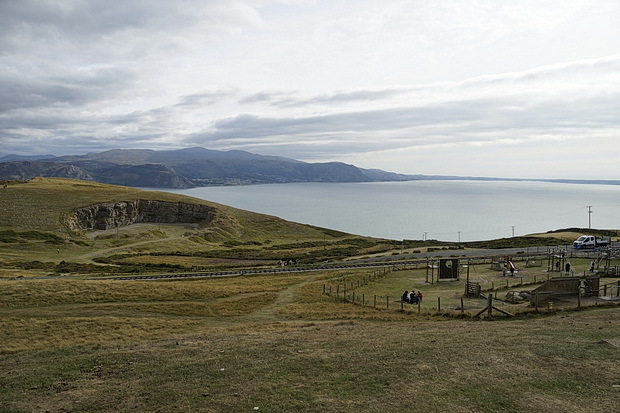 Arriving at the Great Orme Summit Complex, once owned by boxer Randolph Turpin, which has a restaurant, café, boxing themed bar and shop. 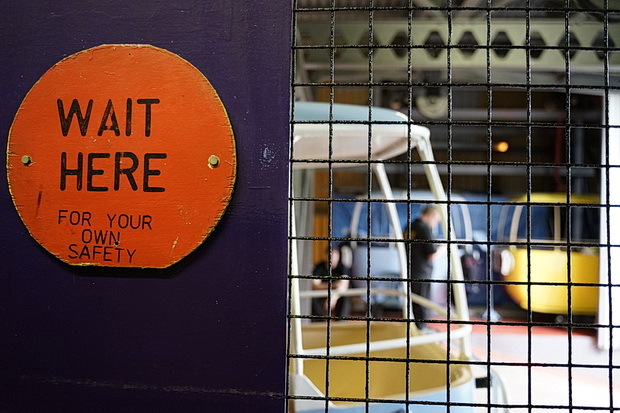 All were closed when we arrived on one of the last journeys of the evening. 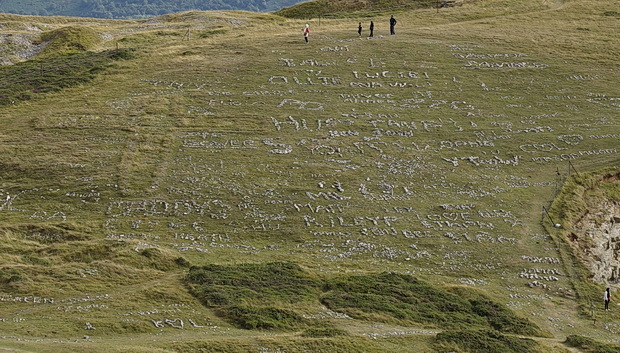 Names marked out in stones on the Great Orme. 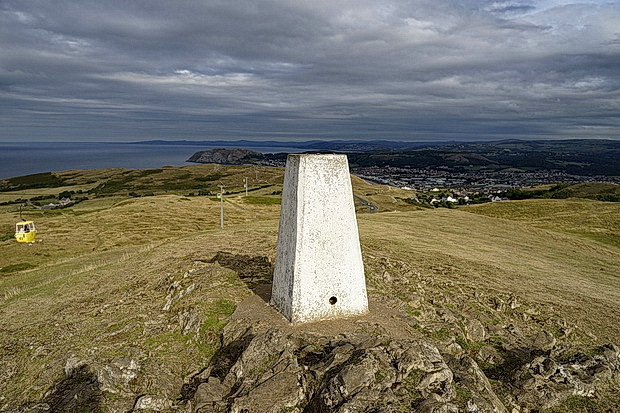 There’s stunning views from the summit. 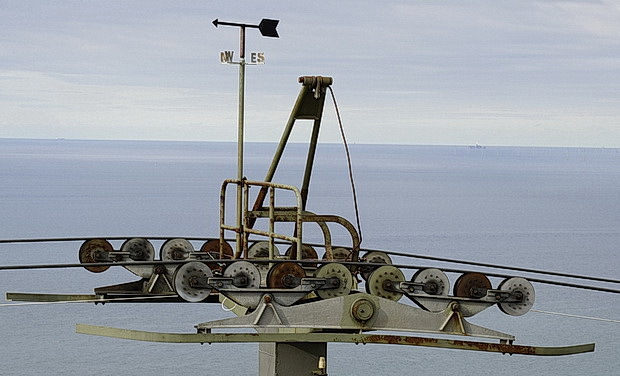 Heading back into town. 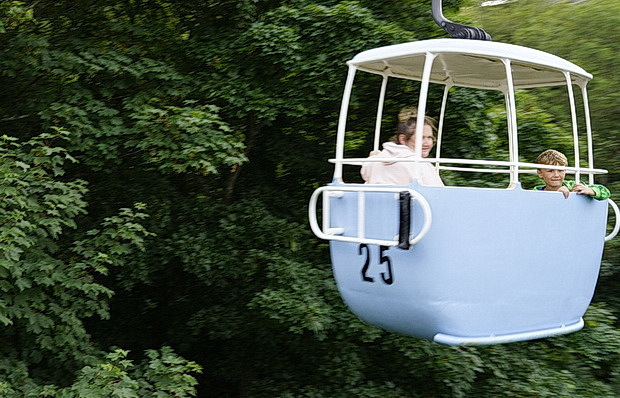 We were the penultimate passengers on the day! 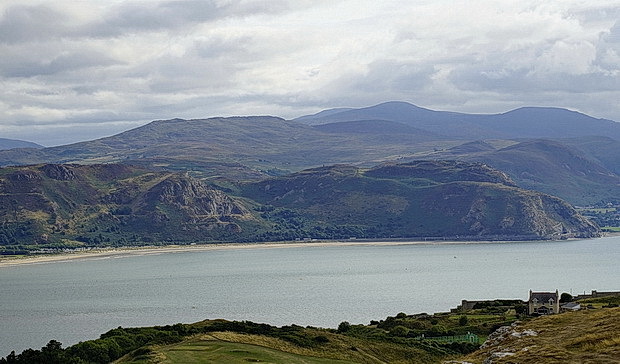 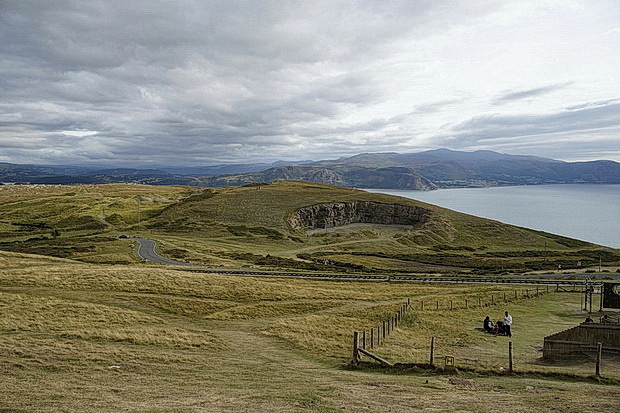 Looking back up to the Great Orme. 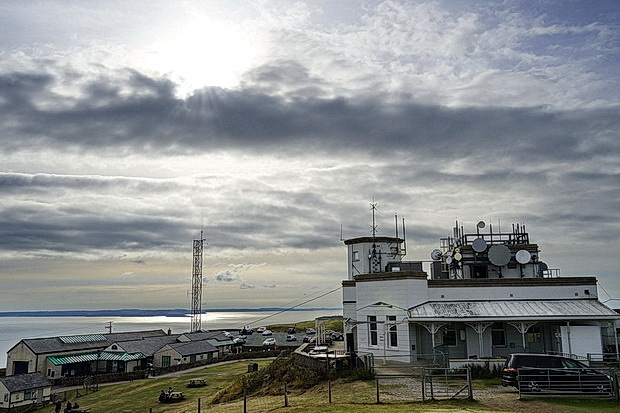 April to October (weather permitting) Please ring for opening times (1 Apr 2018 – 31 Oct 2018) – 01492 877205.